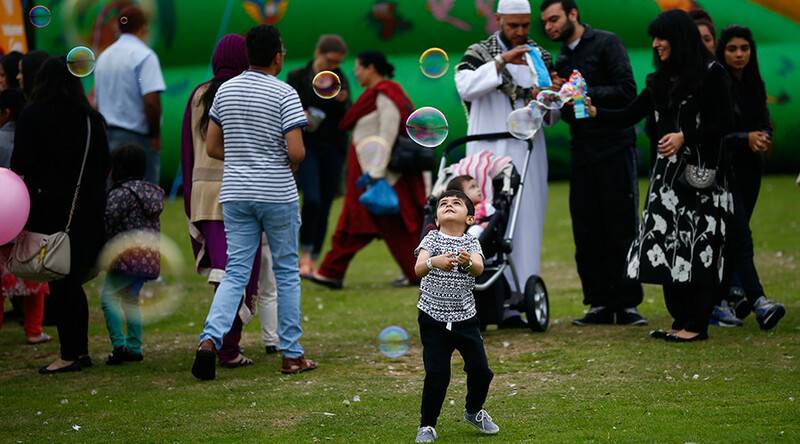 More than half of Britons polled believe Islam is incompatible with British values, according to a study carried out on behalf of a Muslim community organization. The polling firm ComRes asked 2,012 people over the age of 18 for their views. The study was carried out on behalf of the Ahmadiyya Muslim Community and was revealed at the ‘Caliphate in the 21st Century’ conference. It found that one respondent in three thinks Islam promotes violence in Britain, while 72 percent feel the religion is viewed negatively in the UK. Some 32 percent believe Islam promotes peace in Britain and 56 percent think the faith is incompatible with the country’s values. The sect that commissioned the study is itself dedicated to its own version of a caliphate in the UK. Unlike extremist groups such as Islamic State (IS, formerly ISIS/ISIL), the Ahmadiyya Muslim Community’s version of a caliphate is dedicated to peace. “The task of the Ahmadiyya Caliphate is to continue pursuing the peaceful objectives laid down by the Founder of the Ahmadiyya Community, which is essentially to worship God and serve humanity,” Farooq Aftab, the community’s spokesman, told the Express. “And so, under the guidance of the Institution of Caliphate, the Ahmadiyya Muslim Community has continued this work for more than one hundred years,” he added. “We have on a number of occasions said that in Mosques, Imams and leaders should use sermons to condemn ISIS. And make it clear that going to join them is totally wrong and against Islam,” he said. Ahmadi Muslims are a maligned group in some quarters. In March, a Scottish-Ahmadi shopkeeper was stabbed to death in Glasgow in front of eyewitnesses. The brutal attack on Asad Shah, a popular local figure, took place hours after he wrote a heartfelt Easter message of peace and tolerance to Christians. “A full investigation is under way to establish the circumstances surrounding the death, which is being treated as religiously prejudiced,” Police Scotland said at the time.